PLEASE NOTE THAT REGISTRATION IS REQUIRED BY July 1, 2019. Capital Wine School students who need to retake or reschedule the WSET Level 3 exam should purchase one of the Exam Only options. The exam only options are not available to students who have not done a course, either in class or home study, through Capital Wine School. The exam consists of a multiple choice paper of 50 questions, a question paper requiring short written answers, and full written tasting notes on two wines. Those who pass the exam receive the WSET Level 3 Award in Wine, an internationally recognized credential in the wine industry. 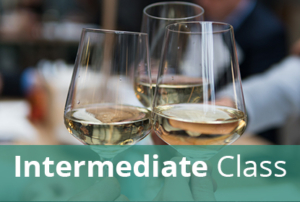 Effective August 1, 2016, the Capital Wine School no longer offers a Home Study Course for WSET Level 3.